These links take you to an excellent college-planning tool produced by the Educational Credit Management Corporation (ECMC). In English and Spanish. Do your best in all class work; establish and maintain strong study habits and time management skills. Participate in student/parent career planning opportunities including the Beyond South evening presentations. Develop a reading plan that includes newspapers, magazines, and books. Reading a variety of sources and materials helps prepare you for the SAT and ACT reading sections, for college application essays, for college, itself, and for being a knowledgeable member of society. Enjoy school! This is a place where you are developing as a student and a person. Take your grades seriously. Freshman year counts! Use the library and computer lab. 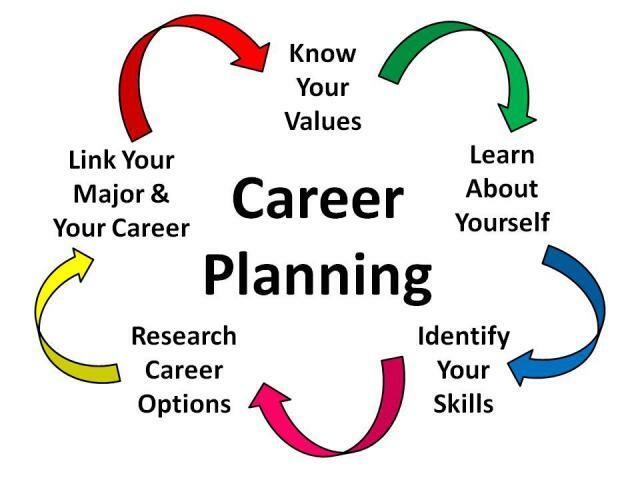 Visit the Career Center and familiarize yourself with its resources for planning your future. Join or start a club. Try new extracurricular activities; it’s a great time to explore. Keep your attendance record up and your behavior record clean. Explore some community service activities. Not only does this help out your community, it also builds your resume. Attend Freshman/Sophomore Night in December. Make sure you complete your Freshman Project in the Career Center. Visit college campuses when family vacations take you near them. Begin having open and honest discussions with your parents about college financing. Review your curriculum plan in the spring. Ensure that your scheduling requests for sophomore year meet your career/education goals. Use your summer well: volunteer, work, travel, develop new skills, read. Stay focused on your schoolwork. Consider your interests and how they relate to possible career options. Continue to visit colleges when your travels take you near them. Learn what your preferences are for different college characteristics. Involve yourself in meaningful community service. Use the Career Center resources to research post-high school opportunities. Take the PSAT on testing day in October, then review results when they’re publicized in December or January. Use results to focus on areas to improve and to prepare for the SAT. Don’t forget to link your PSAT results to the Khan Academy for free, customized SAT prep. Complete your Sophomore Project in the Career Center by February/March. Attend your Sophomore Interview in the Career Center in the spring. Consider applying for the National Honor Society in March. It requires a 3.6 GPA, evidence of community service, leadership experience, and good character. Take AP/SAT Subject Tests in the spring of the same year you take those classes. Plan junior year courses carefully. College entrance requirements may differ from high school graduation requirements. Also, some courses required for Career and Technical Education (CTE) Projects or Career-Aligned Mastery (CAM) Projects (two of the Senior Project options) may need to be taken in junior year. Plan interesting summer activities, including new learning opportunities, volunteering, work, and plenty of reading. Investigate college costs and options for financial aid and scholarships. Attend Financial Aid Night in September. Take the PSAT in October if competing for a National Merit Scholarship. Don’t forget to link your PSAT results to the Khan Academy for free, customized SAT prep. Continue to participate in extracurricular and community service activities that reflect your academic, personal, and career choices. Attend Junior/Senior Night in October. Attend college fairs in Eugene or Portland and college visits in the Career Center during the fall. Complete your Junior Project. Use CIS and Naviance for college research, and schedule your Junior Interview. Save all career and college planning information in a file at home to stay organized during your senior year. Take the SAT or ACT in the winter/spring. Don’t forget to link your PSAT results to the Khan Academy for free, customized SAT prep. Attend the Rising Senior meeting in April. It will give you important information about your senior year, including Senior Project expectations. in the spring of the same year you take those classes. Visit college campuses during spring and summer breaks. Begin identifying teachers from whom to request recommendations next year. Some teachers are asked to write many letters of recommendation. You may need to arrange with these teachers during the spring of your junior year to be on their list of recommendees for next year. Plan your Senior Experience (one of the Senior Project options); you should work on it during the summer. Use your summer wisely. Try some pre-writes for college essays. Use your SEHS Senior Planning Timeline to guide you through post-high school planning. Get organized; develop a timeline with dates for tests, application deadlines, etc. Attend Financial Aid Night in September. Complete the Free Application for Federal Student Aid (FAFSA) in October. This includes creating your electronic signature, also known as your FSA ID. Check college websites to see if your schools also require the CSS Profile. Male students must register at age 18 for the Selective Service before submitting the FAFSA. You may do this via a link within your FAFSA. Sign up for your Senior Interview. Complete your Senior Project early. Take or retake the SAT or ACT in the fall. 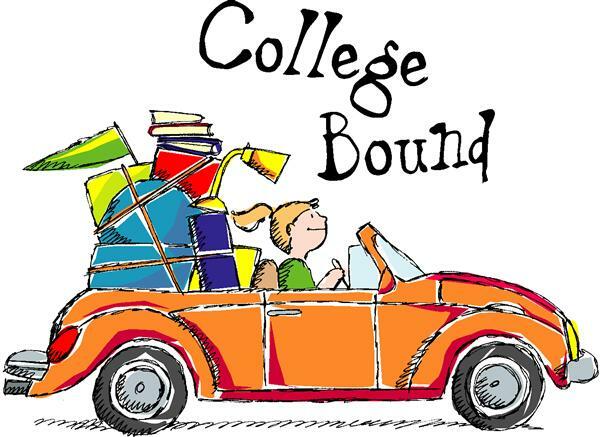 Attend college visits in the Career Center during fall. Ask thoughtful questions of the college reps, and remember that the rep you’re talking to may be the person who reads your application for admission. Narrow your list of colleges to six to ten schools including ‘Reach,’ ‘Probable,’ and ‘Safety’ schools. Arrange with teachers for letters of recommendation at least two weeks (and preferably four weeks) before you need them. If you plan to apply to a four-year college/university, ask Melinda Shull, counseling center secretary for a recommendation packet. Fill out the packet to arrange for any communications between your colleges and SEHS required by your applications (transcripts, letters of recommendation, matching the Common App to Naviance, etc.). Keep your Naviance account current. Regularly check the scholarship postings on the bulletin boards, in the Career Center scholarship box, and on the CC website. Update colleges with your grades after applying. Colleges may rescind application if grades drop. Write thank-you notes to those who wrote recommendations or otherwise supported you. Choose your college; notify all schools that accepted you. Send deposits and final transcripts.